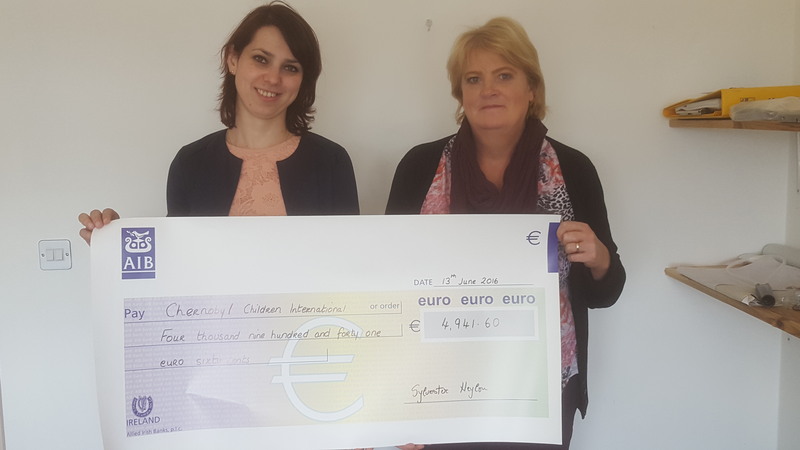 Neylons are very proud of all our staff who have contributed so generously to Chernobyl Children International. 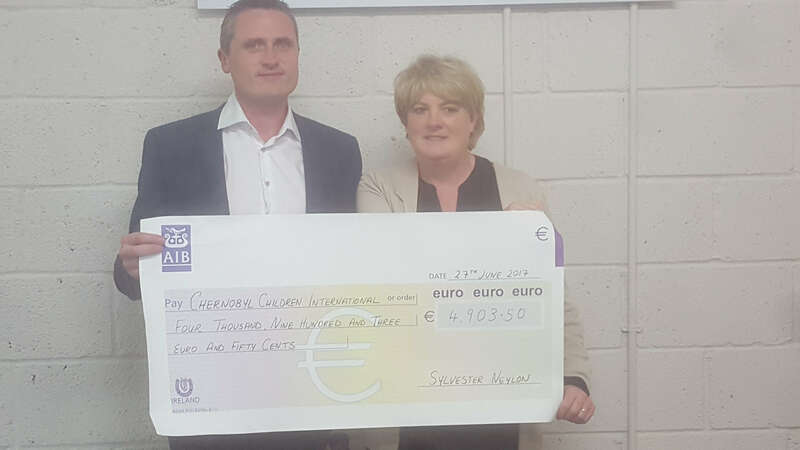 Industrial Director Shane Neylon presented €4,903.50 to Deirdre Larkin yesterday in our head office. CEO Sylvester Neylon said: “Chernobyl Children International is a fantastic organisation and we are proud here at Neylons to support this fantastic charity. The money raised will bring 8 children to Ireland this summer for 1 month which will contribute greatly to their health and well being”. Neylons are very proud of all our staff who have contributed so generously to Chernobyl Children International. Director of Operations Maria Sava presented €4,941.60 to Deirdre Walsh late last week. CEO Sylvester Neylon said: “Chernobyl Children International is a fantastic organisation and we are proud here at Neylons to support this fantastic charity. The money raised will bring 8 children to Ireland this summer for 1 month which will contribute greatly to their health and well being”.